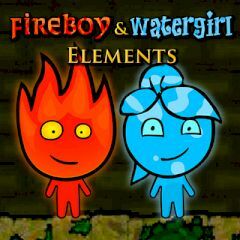 Fireboy and watergirl are two elementals that work in team to complete challenging levels. Mind their nature and control both characters to activate valves and buttons during the run. Collect all crystals, dodge troubles and reach two doors which are bind to these characters. Acquire gems and face next level.